The Steel City. A place on the map made famous by the likes of The Full Monty, Sean Bean & Pulp, to name just a few. But amongst the pop culture, there is a true, modern day enjoyment of living and working in Sheffield; you never know what incredible hidden gem you will be lucky enough to discover. From quirky street art to trendy pop-up shops, there is always something to reignite your love for the place we call home. Did you know we have our own hidden little secret? 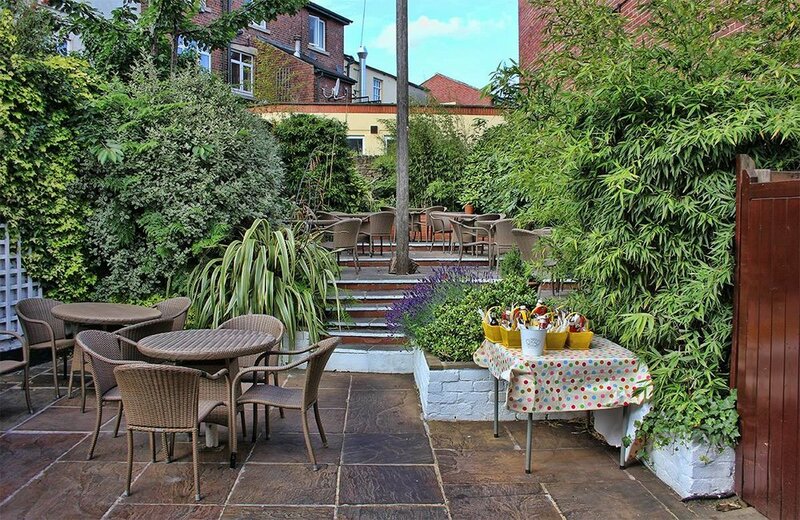 Buried in the heart of Broomhill, amongst the University, the shops & the traffic, is the idyllic, tranquil and peaceful garden of Thyme Café, an area we believe to be one of Sheffield’s prettiest secrets. April Showers have been in full swing so far, with the odd sunshine day throughout the drizzle! But, Summer is around the corner & fingers crossed the sun will be putting out an appearance soon. Looking for somewhere to make the most of the extended Summer evenings? Sipping a chilled Aperol Spritz, treating yourself to Tapas and spending time with a loved one? Well, look no further. At the back of our humble little abode, let us open the door to our beautiful outdoor sanctuary, the perfect place to get away from the hustle & bustle of the city lights, without venturing far from your doorstep.